Location, Location! 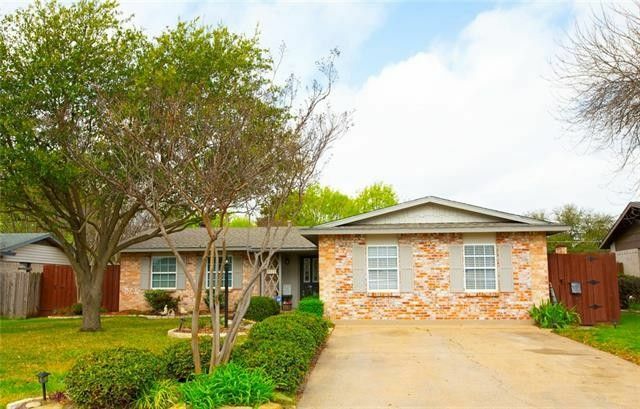 Lake Highlands, Near White Rock Lake area a very rare 4 bedroom home that has a mother in law suite plan with 2 kitchen and 3 bathroom and has a natural light through out the house that make you feel so homey. Seller have occupied the home over 20 years and hate to let it go. Updates include; Granite, Roof, double pane windows and sprinkler system. wood like ceramic tile flooring throughout the house and much more. The measurement for the back house is not on the city tax record but the total square footage of 1877 does include the back house. Bonus: Alley accessible for rear garage parking if buyer wanted to add one. Directions: East on Northwest Highway pass Plano Road and Left on Strathmore.